Oh, how time flies! Three weeks have passed since our last QAL post. In theory, we should have added on our third border set, bringing our quilt top to 48 inches square. This border, if you're following Track 1 of the Catbird Quilts tutorials, should be a 2 inch thick border followed by a 6 inch thick border. As usual, below you'll find our linky party to show us your progress since early March. Please do add your link and hop around a bit to see what others are creating. I am inspired each time I visit your pages, so do visit one another lending a bit of advice or encouragement. 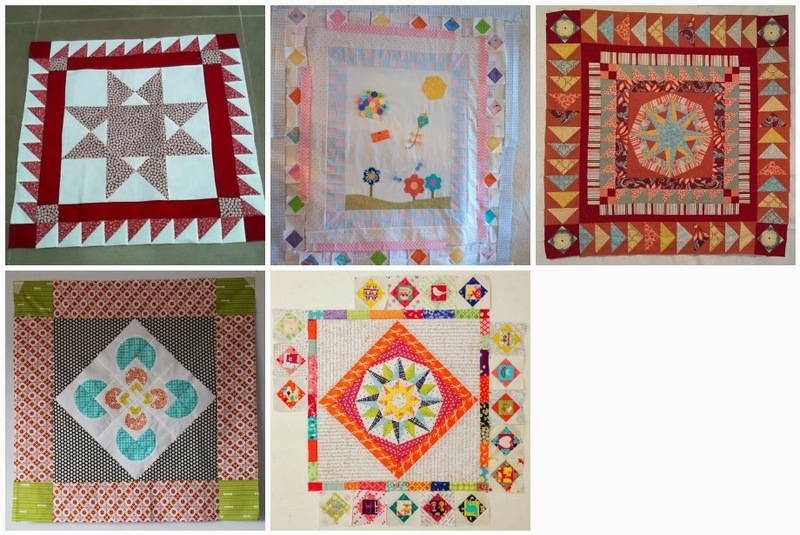 Our next goal, according to Catbird Quilts, is to add another border set (be it single or several borders), adding another 6 inches onto each side of our quilt. Our tops will then grow from 48 inches to 60 inches square. Why don't you guys tell me when you want to have the next linky. Is four weeks enough time to finish off the third border and add on yet another final border? Will we meet up here on 22 April?